Rate this Article Have you set out to be the very best like no one ever was? Well, we’ll be giving you some excellent tips that will sure to improve your overall skill at the game. If you’re one of the millions of people around the world who’ve set out to be the very best like no one ever was (heh) then it’s likely that you’re facing a bit of trouble getting the hang of Pokémon Go since the game isn’t really big on explaining its basics to newcomers. In this article, we’ll be giving you some excellent tips that are sure to improve your overall skill level at the game. 1: Don’t waste stardust early on. Although you might not realize it during the first few levels of gameplay, stardust is actually a pretty rare resource that will come in quite handy later on when you’re trying to power up your higher tier Pokémon but people make the mistake of wasting it all on whatever low tier Pokémon that they have at their disposal which is why they don’t have any left when they actually need it. You should never make the mistake of using stardust on Pokémon that you acquire during the first few levels of the game. 2: Evolve the Pokémon with the highest CP. Say you have a bunch of Pidgeys and the resources required to evolve them, then you should always make sure to check which one of them has the highest CP (Combat Power) and evolve that specific one. Combat Power increases exponentially after a Pokémon evolves so it’s crucial that you evolve the Pokémon that have the highest base CP and transfer all the other similar ones to the Professor. 3: Don’t waste the Incense item by idling. Incense is an insanely useful item that increases the spawn rate of Pokémon in your immediate radius. People think that they can just sit or lie down wherever they are and use Incense to catch a few Pokémon but they’re actually wasting this item by doing so. When you’re idling, Incense will only spawn a total of 5 or 6 Pokémon around you but if you’re actively walking around the world with the item active then you’ll actually spawn a whole lot more. You can catch up to 20 Pokémon if you make efficient use of this item so you should never waste it by using it and then sitting in the same area. Ok here’s how to throw curveballs: You tap and hold the ball and keep spinning it around until you see it start to glimmer. Once the ball starts to glimmer it’s ready to be thrown as a curveball. The catch about this ball is that it’ll go right if you throw it left, it’ll go left if you throw it right and it’ll go in any one of these directions if you throw it towards the middle of the screen. Landing this ball might be tricky but if you can successfully connect it with a Pokémon then the chances of capturing it will increase very significantly. 5: Catch every single Pokémon you see. As long as you have the balls necessary to do so, you should pretty much never pass up on any Pokémon that pops up for you in the wild. It doesn’t matter how many of the same Pokémon you’ve already captured because capturing a new one will give you experience regardless. Therefore, if you want to keep leveling at a steady pace it’s best to catch pretty much every single Pokémon you encounter. 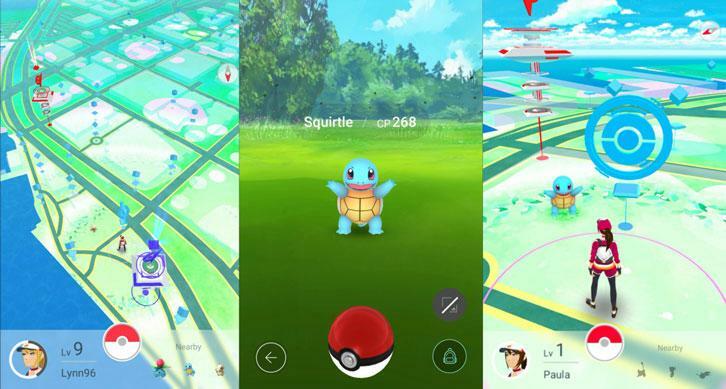 All said and done, as long as you keep the aforementioned tips in mind while playing Pokémon Go, we can say with certainty that you’ll be able to play much better.